Plot and character aren’t so different after all. In fact, in many ways, they’re the same thing. Over the course of the last seven posts, as you’ve focused on outlining your plot, you’ve also been outlining your characters, perhaps without even knowing it. But now it’s finally time to focus exclusively on character interviews. By this point in your outline, you’ve already figured out the inherent factors of character arc that will drive your story’s plot and theme. You know your characters’ Lies and Truths, Wants and Needs, and backstory Ghosts and motivations. You know about the Normal World in which your protagonist will start the story, and you know how he will change and where he will end up by the story’s end. You also have a firm grip on your supporting cast and their respective desires and (where appropriate) arcs. These are the most important aspects of your characters and if you’re so inclined, you can take off and write them into the first draft right now. However, there’s one extra step I always take in my outline—character interviews. Why Bother With Character Interviews? 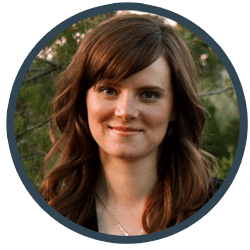 As you’ll see in a second, I use an extensive list of questions to help me understand my characters inside-out—everything from their deepest fears to their favorite foods. Some of the answers will show up in the story; many won’t. Character interviews require a decent outlay of time: I generally spend upwards of six hours on each interview. So why bother? When you already know all the “important” thematic stuff about your characters, why do you need to bother with this trivial stuff? Can’t you discover everything you need as you write the first draft? Certainly, you can. And, inevitably, there will always be important aspects of your characters you won’t learn until you actually start writing them. But I’ve discovered character interviews can make all the difference in both the ease of writing a new character and his success in driving the plot. In the past, when I’ve chosen to skip an interview, the character too often fails to be as realized as those I did interview. Even though I do discover my characters as I write about them, I never understand them as fully as should if I don’t interview them beforehand. Depending on how many of your characters you decide to interview (more on that in a bit), character interviews can be a lengthy part of the outline. But they’re always worth it. And, in my experience, they are often one of the easiest and most enjoyable parts of the outline! With each new novel I write, I’m always adding new questions to my character interviews. My list started out with the basics, but the questions I look for these days are the ones that will help me dig down into the heart of the characters to find interesting motivations and contradictions. The list now includes over 120 questions, curated from multiple sources over the years (if you see a question you originated, thank you!). I’ve offered my interview list before, in several different resources, including the Outlining Your Novel Workbook, but since I’m always updating it, I’ll include the latest version here. 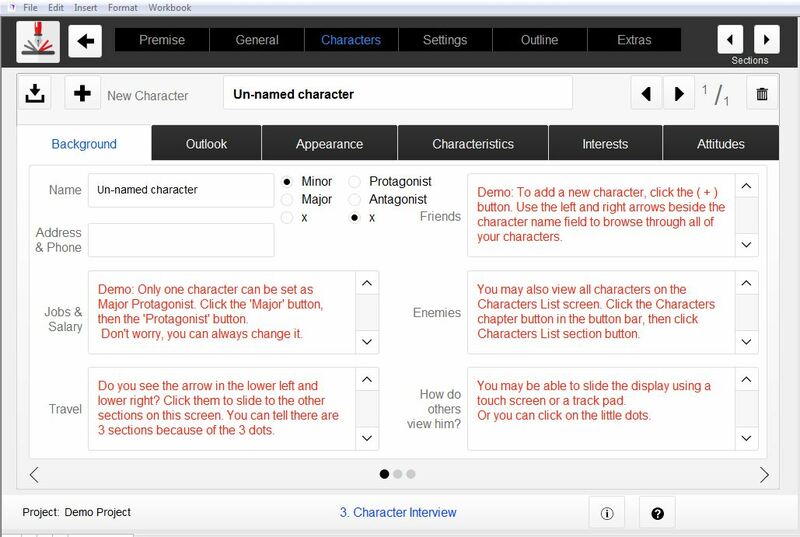 You can also use the Character Interview feature in the Outlining Your Novel Workbook software. Implementing the character interview is easy—just sit down and start answering! This is perhaps the most guided part of my outlining process, since it is, in essence, a fill-in-the-blanks exercise. However, as with any part of a successful outline, your answers to the character interview should not be random. Writers sometimes ask how they’re supposed to come up with answers to the questions. Are you supposed to just sit down and start writing down any ol’ answer that comes to mind? Definitely not. There’s a reason we’ve waited until almost the very end of the outlining process to work on character interviews. By this point, you will have discovered your characters. By now, they will be real people living within a real plot. Their shape and essence should be very clear to you. If you’re like me, you may even have “cast” your characters, using actors and other real-life personalities to provide distinct faces and physiques that anchor your characters in your mind. In filling out the character interviews, you will inevitably run up against a few questions for which you don’t know the answers, and you’ll have to brainstorm something on the spot. 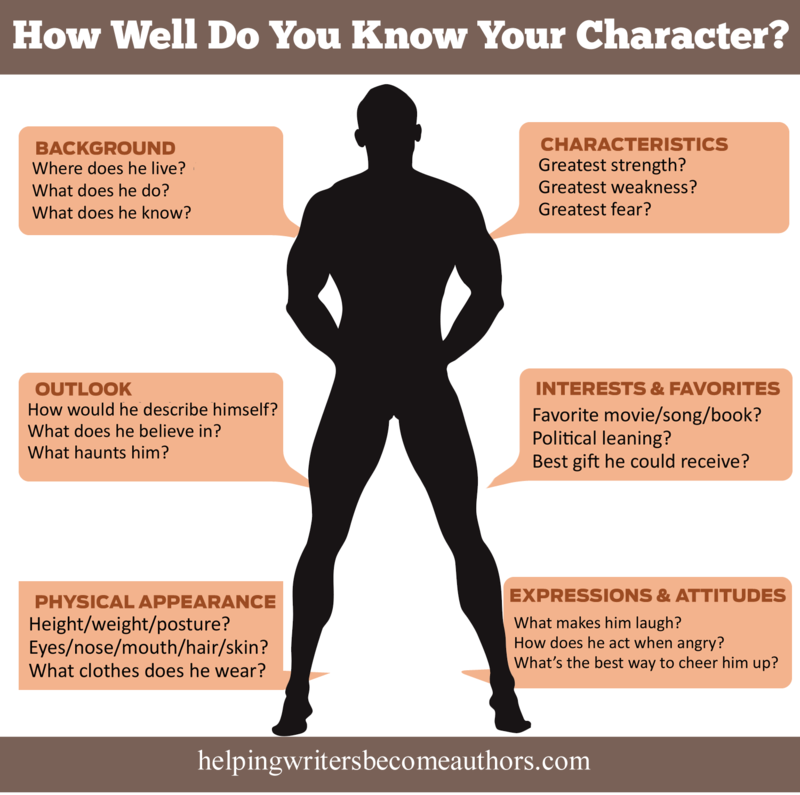 But most of the answers should be evident from what you already know about your characters and plot. If he could he do anything he wanted—honestly he’d probably still be a gambler, but with credibility. He sometimes dreams of owning his own gambling establishment, but, in truth, the responsibility would kill him. As it is, he lives life on his own terms and he likes it that way—if only he were not constantly derided for it. He feels like, if only the world accepted him and gave him his due, he would be happy and whole. How should you answer the questions? Short answer is “any way you want to.” If you want to literally interview the character and have him respond in his own words, go for it. If you will be best served by short one-word answers, that works too. However, I recommend continuing with the same conversational style you used in the previous sections of the General Sketches. Muse aloud on the page, writing whatever comes to mind about the character. Most of my answers are at least a couple of sentences and often a paragraph or two. Some of the questions will be irrelevant to your character and you can skip them outright. The interviews will provide their greatest benefit simply in helping you solidify your characters into fully rounded, nuanced human beings in your own mind. They will have fulfilled their greatest value simply in being written down. However, unlike much of the General Sketches, character interviews supply information in a format you can use throughout the drafting process. Once you have them written down, they provide the further benefit of being a handy resource for referencing facts about your characters throughout the writing process. I collect all my interviews in folders in Scrivener and refer to them frequently, whenever I have a continuity question about eye color or birth date—or when I need inspiration for how a character might react when he’s angry or frustrated in a particular scene. How I set up character interviews for my historical superhero work-in-progress Wayfarer in Scrivener. The interviews are easily searchable and save time in the long run when you’re stalled on a character detail that would otherwise need to be brainstormed on the spot, bringing your current scene to a screeching halt. Which Characters Should You Interview? Obviously, you’re probably not going to want to interview every single one of your characters, especially if you have a large cast. So how do you triage your cast to determine which get full-fledged interviews and which do not? Ultimately, this will be a personal decision. Which characters are integral to your story? Which characters do you feel you don’t fully understand yet? My own rule of thumb is that all POV characters get interviews and all antagonists get interviews. If I’m going to be in a character’s head, I need to fully understand how he thinks and what made him the way he is. As for antagonists, I admit it: I used to skimp on their interviews. The other thing I admit is that antagonists have always been a weakness in my writing. So, finally, on the last two outlines, I put two and two together and realized that maybe, just maybe, the reason my antagonists were challenging me in the first draft was because I wasn’t taking the time to fully understand them and their motivations in the outline. I started doing complete interviews for them, and boom! my antagonists immediately improved. Start with your protagonist and work your way through your important characters until you have a fat dossier full of everything you’ll need to create these characters from the ground up and power them through your plot. And have fun! This section of the outline is a no-pressure way to get to spend time with some of the most fascinating people you’ll ever meet. Stay Tuned: Next week, we’re going to talk about the final step in the outlining process: the scene outline. Wordplayers, tell me your opinion! Do you find character interviews useful? Why or why not? Tell me in the comments! This is an absolutely brilliant post. I’ve been doing character interviews for years, but this is much deeper and more searching than any of mine. Dear God, if you’re listening, I know I’ve been furious with you since you let Alan die. I haven’t forgiven you for that, and perhaps I never will, but please, can you let me think of something that I can do to stop the killing? The whole key to successful character interviews is that they look past the surface. If they’re simply rehashing what’s already obvious about the character, then they’re really not going to be worth the time. Yep, if they’re not working for you–if they’re not adding anything–then definitely don’t do them. I’ve had trouble using character interviews. Now I’m wondering if it’s because I try doing them too early in the process. Thanks for the tips! This is similar to the reason I used to resist using personality typing systems (particularly Myers-Briggs) on my characters. I felt that if I imposed a personality from the beginning, I’d end up with cardboard cutouts–and I would have. But when you *first* discover the character, then use these tools to refine them, they’re extremely helpful. I’ve been doing this in my head but you’ve convinced me to be more structured and write it down. I’m concerned that I might not evaluate each character the same and want to ensure consistency in how the character is presented. I may have brain stormed some things about someone, but chapters later I’ll realize there’s something I hadn’t considered and then have to make sure it goes with what I’ve already written. I also have a newly introduced character, the cousin’s girlfriend, who will be an important supporting character the rest of the way. From here on, I’ll have two couples – a brother and sister and their girlfriend and boyfriend (the MC). I’m happy with her introduction, but I then look over the outline, seeing how she’ll affect the plot the rest of the way, and ponder what the details of her character will be. She needs a certain personality and backstory. to make it all logical. 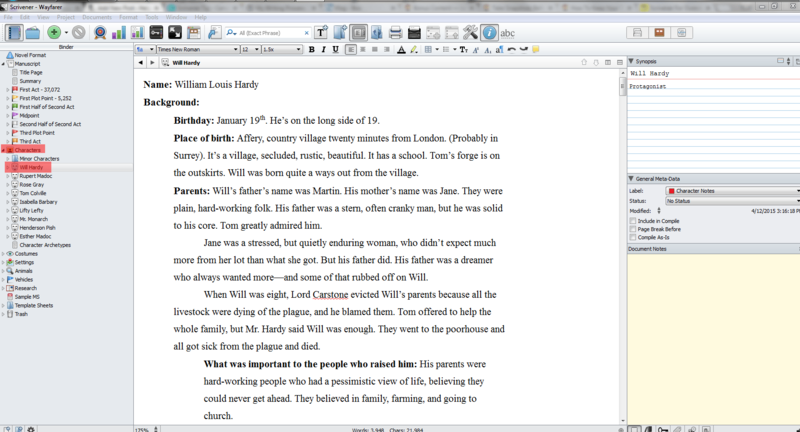 And, of course, I see that it will make it easier to WRITE IT DOWN after the outline but before the writing. I definitely find value in writing things down. Even if I *do* know it in my head, there’s something about making it concrete on the page that solidifies it. I can see the big picture much more easily and make adjustments more accurately. Reviewing the questions – you have ‘birth date’ but not an explicit age, which to me is the more important of the two. Then a generic ‘dating/marriage’ which likely does cover it, although I was thinking more specifically of how long they’ve been married. For example, Grandpa’s 72, Grandma 57, and they’ve been married 42 years. Just that can give you an impression of their situation. But those are details I can modify myself in the interview form. 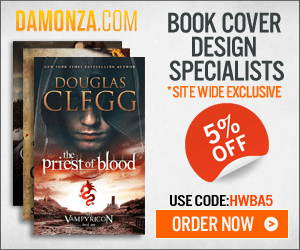 PS – and maybe ‘species’ as many of you are into the science fiction/fantasy writing. In my own interviews, I generally write down the specific birth date and figure the age from there, depending on the year in which the story takes place. I usually try to perform character interviews both before and during my first draft. It’s a helpful way to get into their frame of mind at the beginning of a new scenario and track their changes. Me: So, who are you anyway? MC: *slowly blinks* I don’t know. Me: Do you know where you are? MC: Is this a trick question? So, I’ve been discovering things about her while she is. Granted, I didn’t start totally blind, but most of her backstory is a blank. Strangely, that’s been okay so far. It’s certainly different than what I usually try, and it’s taught me a bit about letting a character naturally unfold. This is a great idea but knowing me, I’ll do an interview with a character and then when I go to write, write something that contradicts that character’s interview. Nothing wrong with that. It’s all about digging deeper and discovering more and more about the character. However, it’s possible that if the character keeps contradicting your understanding of him, it’s a sign you don’t quite understand him well enough yet. Enjoyed this blog post! Thanks. 🙂 I actually answer interview questions from the characters’ points of view based on information from mini profiles. I call this “freehand interviewing.” It’s a lot of fun! Thanks for this post. Creating characters is for me the most difficult part in the writing process, because you have to create people, not only a tangle of characteristics linked to a name. I really hate character interviews, because I need a great amount of time to complete them, but I love them because they help me to make my characters more live than ever. I think you’ve summed up most people’s feelings about outlines in general: hate the time output, love the results! I’ve seen a number of character questioners that can help you build up your character, but this is probably the most detailed I’ve seen yet. It’s to the point where I might use this on major characters I’ve been writing for years now, just to tweak up their personalities that extra bit in upcoming edits. You can pick and choose which questions are pertinent to your system and style. I’m always looking for new questions I feel would be helpful to me. Wow. I’ve always been like “Character interviews? 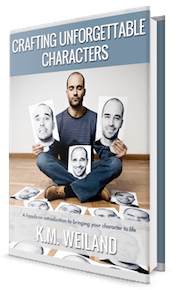 Bah.” But you make a lot of sense hear, and that character interview checklist you included just might be the best resource for character building I’ve ever seen. And, of course, you don’t have to feel obligated to do *all* my questions. I like the thorough approach (surprised? ), but you can pick and choose those you know will be useful if you don’t have the time or inclination to go that deep. Thank you for another great post. Between your blog and books, you are really helping me a lot! On a side note, it would be a big help to me if there was a separate worksheet/PDF that I could copy the Character Interview questions from. I want to start using them, but I’m having a hard time copying and pasting from your website or the Outlining your Novel e-book. It would be especially difficult if I had bought the paperback! Actually, you can print the interview questions directly from the pdf version of my free e-book Crafting Unforgettable Characters. I’m much more of a visual illustrator/painter than a writer, so when I create characters I focus a lot on the physicality of them. Their design, fashion aesthetic, color scheme, body type, facial features, etc. Of course, on the flip side, I often find it harder to explain the character in words and flesh them out, unless I really write it all out in categories, like on this. I’m glad this exists. It really helps not only me to know my own oc’s, but helps me grasp how they see themselves. As you suggested, I spent some time with my antagonist. Throughout the interview, she kept going back to why she left a plush position as a biological researcher to become a spy for the U.N. Anti-terrorism Commission. It was as if she was trying to convince herself that she did the right thing. Each time, she came back stronger in her conviction that, in spite of the danger, it was her calling. She was angry that the Ukrainian Army killed her parents but was more forgiving as she talked about how, to stop terrorism, she had to get inside their lives and minds. When I asked about her future, she said that after this mission, she intends to join the World Health Organization and help others in a different way than she is now. I asked about love, marriage, etc. She shrugged it off, as if those were items for the distant future. When I questioned her about her past, she went into detail and said it was happy, but it was painful to realize that the war in Donbass was destroying so may memories. She is definitely a person who lives in the present, putting aside regrets from the past and hopes for the future.